For performing works at great heights, safety is paramount and cherry pickers are often required. 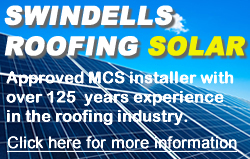 W. Swindells & Son (Roofing) Ltd are now able to offer high level access support through the form of our two cherry pickers. Our two cherry pickers are available to hire complete with our fully qualified operatives (if applicable) at competitive rates. Please contact us for details on cherry picker sizes and rates.